The first panel that kicked off the Betting on Esports Conference was on the topic of brand ambassadors. The full title of the session was “Brand Ambassadors – How to find a good fit” and featured members from a range of companies involved in esports; Scott Burton from ESP, Viktor Wanli of Kinguin, Malph Minns of Strive Sponsorship and Adam Savinson from Win Technologies – Betway Group. The panel was moderated by Kirsty Endfield of Swipe Right PR. A part of the wider Betting on Sports conference at the Kensington Olympia, the panel was followed up by a discussion on bringing regulation to esports gambling, and was one of six esports focused panels over two days. The panel got straight into the nitty-gritty of who the fabled esport consumer is. Savinson dropped in key insight, stating: “There is no ‘esports consumer’. It’s much wider than that, with there being CS:GO consumers, DOTA consumers and so on. You need to know to cater for their own communities, with esports being different to how traditional sports are treated. They’re used to having dedicated news portals, unlike football fans who’d look on the BBC where it’s listed alongside basketball”. The panel agreed on this, then moved onto esports ambassadors and how they are different to those in traditional sports. “There are some people we wouldn’t touch” inserted Burton. “You need to do research to determine who’s right for your brand before just jumping in based on follower numbers. I don’t see much difference between esports and traditional sports ambassadors though”. Wanli offered up a slight disagreement with the last point: “We look to see how we can work with their audience after a sponsorship, with constant community engagement”. The panel shifted onto the growth of esports as a global phenomena and whether or not it’s better to sponsor a team or brand or go straight in with starting their own organisation. Minns, who worked with cycling’s Team Sky, added his thoughts: “With Team Sky, it was difficult to for some brands to understand how they might get cut through in a relationship with us, having a media owner and big brand like Sky also sponsoring the team. Wanli, whose company Kinguin runs their own team, said it was cheaper for them than sponsoring another team. “We see it better to run our own brand, as the community connect better that way” he added. The panel finished up discussing the risks of sponsoring esports affiliates and what companies coming into the space want to avoid. Savinson stated: “Throwing money at esports is bad. You need to develop what works and what doesn’t, and that includes working with communities to come in”. Minns built on this point with his experience of cycling, where some brands entered the sport having not done their due diligence or having sought informed advice. “Lots of money came in to cycling after Team Sky’s success and the resultant growth of the sport in the UK, but a number of companies made poor sponsorship decisions on the basis of not understanding the sport and audience, not getting great advice and some rights holders not having the right experience in place to service them adequately. Their pull out came alongside a ‘Cycling doesn’t work’ tag when in fact a confluence of failures was to blame. Some questions from the audience followed before the session was brought to a close. 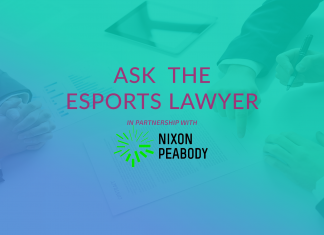 The remaining panels at Betting on Esports focused on regulation, integrity, data and the opportunity in Las Vegas.